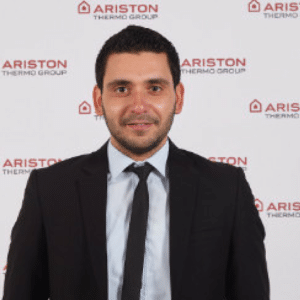 After finishing my studies Industrial Engineering Electromechanics in Leuven, I worked for 3 years at Argon Measuring Solutions as a measurement engineer. 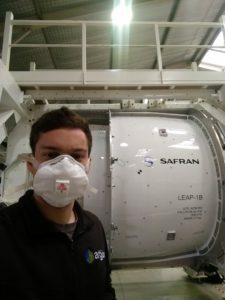 My job was to go on-site to perform dimensional quality control for various companies in the automotive, aerospace and other sectors using a 3D scanner. Two years I travelled around the world to perform these measurements, the last year however I spend most of my time at Audi Brussels working on the Etron project. I would like to make a small career switch and get started in the energy sector, working on different projects to develop myself while contributing to finding solutions for the challenges this sector is facing. I’m passionate about all energy-related matters, and I’m also into gaming and playing volleyball. Once had to go to Mexico City once to create a 3D image of two Picasso’s and one Toulouse Lautrec, so Fujifilm could make a perfect copy of these paintings. The idea was that the owner (3th richest Mexican) could store these paintings in a safe and conditioned environment, while still enjoying the view of the copy in his apartment. The scan only shows the profile of the brush strokes, which they then use in a hybrid printer to create the copy. Talk about a perfect replica! 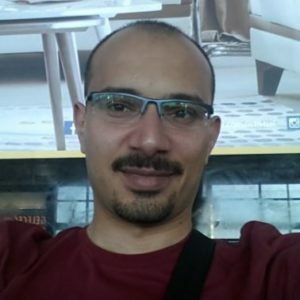 I Graduated in 1998 from I studied electronics and communication systems with a major in electronics at Ain Shams University in Cairo where I have been teaching for 6 years. I Travelled to Belgium for my PhD on circuit design based on MEMS resonators, between IMEC and the VUB in Brussels. Leading a project with a different team is something I love to do and find passion in doing it. I am looking forward to having this new challenge with EngiBex and Thales Alenia Space for setting up their new production line in Hasselt. 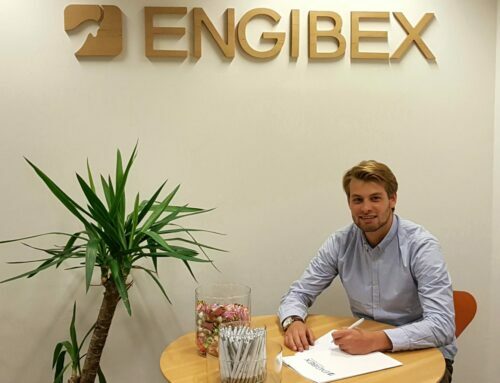 The way of working at Engibex and the flexibility of being exposed to different companies and/or industries every few years depending on the projects makes it more exciting and challenging. I am passionate about new things in general. Electronics and communication-related topics are of course on the top of the list. During my time at Melexis, I got more and more attached to automotive related trends, electric cars, and engine related topics. I am also pretty involved in STEM-related activities for children both on a company level (within Melexis) and on a personal level. Working with kids is very challenging, it requires a different set of skills and patience. I like history and travelling a lot. I get often in discussions with many colleagues or friends on their countries, trips they made and or cultural backgrounds, to learn more and understand more about other places. I am a very social person with several hobbies and sports. I try to practice indoor football and jogging from time to time and I am also practising Korfball in Leuven for 2 years. I also enjoy collecting stamps (a bit exotic, old school style) but it still amuses me to some extent. As mentioned above I am starting now giving STEM – electronics courses for children and I am enjoying working with them discovering together the world of electronic circuits. I will be happy to share more stories with all of you and hear yours as well so let’s keep in touch. My background lies in electrical engineering and I have 5 years of experience in international companies. I had the opportunity to work on different projects in the automotive, electronics and energy sectors. As I’m interested in the quality field, I am looking forward to succeeding new challenges with Engibex and to apply my soft and hard skills. I would also like to expand my friends and colleagues network perimeter by integrating into the Engibex family. I am passionate about traveling. I started to travel with my family since I was a child and later on, I integrated the AJMEC association where I had the opportunity to mix between traveling and working in social topics as water saving, peace, etc. It was while one of those trips during my participation at a social event in Riga when we found a plastic boat beside the river. I proposed to the team to make a tour before going to the party. Unfortunately, the boat broke down after a short distance. There was no other option than to swim until the river bank and to return to the hotel to change our wet clothes. Since it was my suggestion, I was obliged to pay for what we spent during the party but it still was an amazing experience.